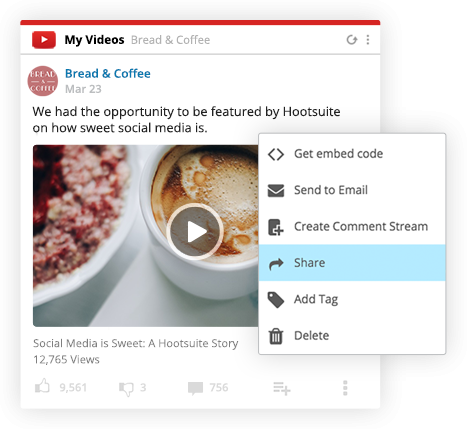 Easily schedule and share YouTube videos across all your social networks right from Hootsuite. 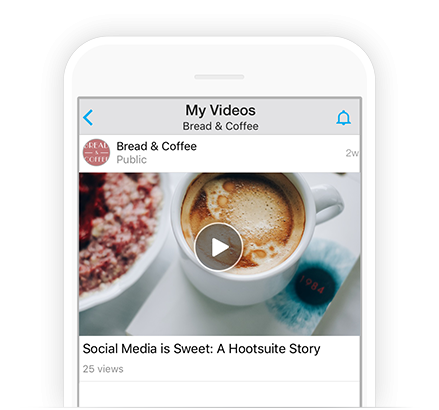 Use Hootsuite’s secure platform to work as a team, helping you manage multiple YouTube accounts without the risk of sharing passwords. 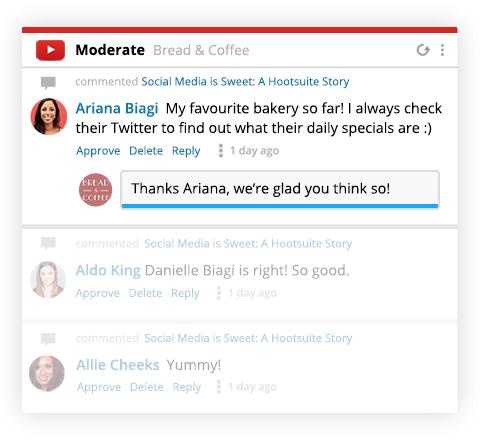 Monitor YouTube activity alongside your teammates, moderate comments, and share high fives. 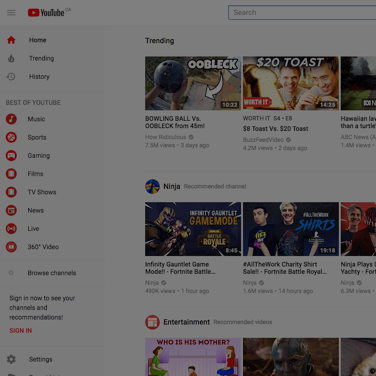 No more waking up early or staying up late—schedule and share your YouTube videos on your terms. Nothing to publish today? 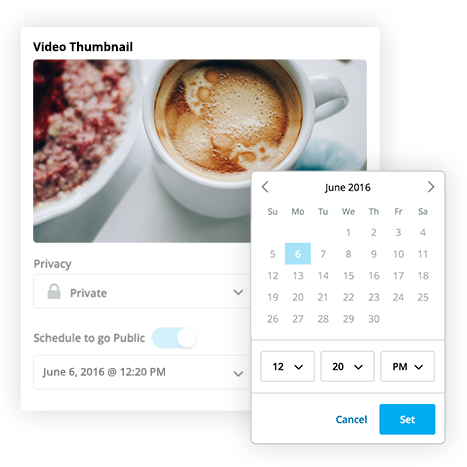 Find relevant YouTube videos from your custom search stream to schedule. 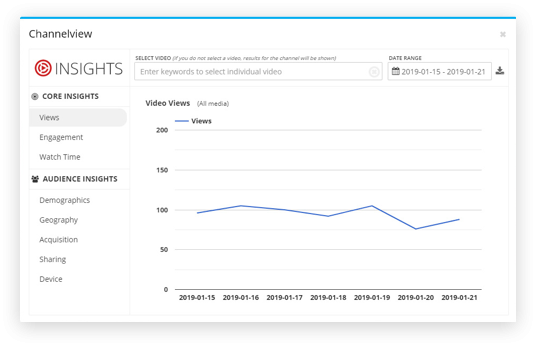 Easily measure subscriber growth, analyze engagement levels, and pinpoint traffic sources with the Channelview Insights app. Grow and engage your YouTube audience wherever you are. With our mobile app, you can respond to comments and be there for your customers.